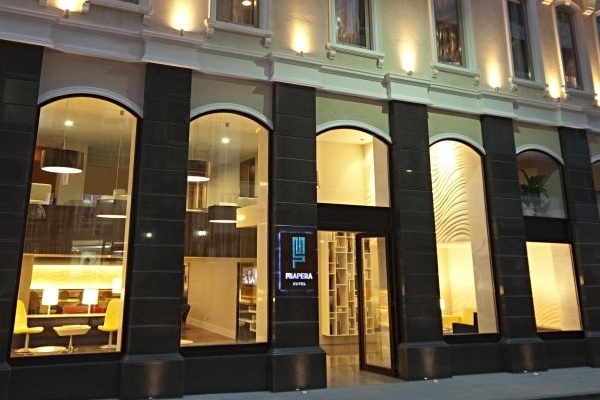 When would you like to stay at Mia Pera Hotel - Check Availability & Room Rates!!! The name Mia pera derives from Italian word “Mia” meaning “my” and “Pera”. Mia Pera hotelrooms are designed in ethnical - minimalistic style with the types such as Superior, Deluxe and Duplex Suite rooms. 24 hour in room dining, soft towels, comfortable beds, French and twin bed options and superior pillows menu, controlled air- conditioning, cable TV, LCD screen TV, Wi-Fi, Telephones with message alert system, electromagnetic door locks and card keys, safe box, complimentary in room coffee and tea set up, gourmet minibar,laundry facilities, make up and full-length mirrors, hair dryer. You will find much more to these in Miapera. The most significant thing that you will carry along will be a very special Istanbul story to be remembered with a smiley. How far and How long will it take from/to the Mia Pera Hotel Istanbul from/to International Airports and cruise Ports.